Welcome to my consolidated site! I have updated and consolidated my website! Welcome! It has been 4 years since I released my previous website, branded as Tim Merry, and I am now in the midst of launching my co-branding with Tuesday Ryan Hart. It was time for an upgrade! Please enjoy this simple and powerful site designed by Skysail. You can still access all my blogs at the same links on this page. You can find the work I have been involved in up to mid 2017 here and info on the Collaborative Advantage model is here. Tuesday and I working with Kate Inglis of Shed Creative on the re-branding of our shared work. I will be doing the majority of my blogging, podcasting and more with Tuesday from the new platform in 2018. Looking forward to seeing you there! I recently did a keynote for the Association of Municipal Administrators of Nova Scotia, talking about long term change in highly complex systems (like municipalities!). As part of my prep I interviewed Anna Karin Berglund from the Swedish Association of Local Authorities and Regions and integrated some video of our conversation into the keynote. It went really well and Anna Karin has given me permission to post the video here. Some great reflections on how we can lead change in a more participatory way and in particular within municipal and government systems. It was also great to work with Anna Karin and SKL on my recent trip to Sweden - more info to come on that once we have the summary video! More on my website and blog (resources, reflections and on the go insights). Tuesday Ryan Hart and I are co-branding together! We are both finding the scale and complexity of work we are in, demands a strong partnership. After years of working closely, co-developing our models and thinking, running online courses and becoming good friends - it was the natural next step. We'll be launching a website, podcast and list of offerings in early 2018. Hooray! Short video from Tues and Tim talking about the why and what of co-branding. In April I started working with an administrative assistant, Jen McSween. Jen brings years of experience and a good sense of humour. She is handling all scheduling, website correspondence, some client files, project admin and whatever else turns up! Jen has recently started working for Tuesday in the same role. I'm looking forward to you meeting her, if you haven't already - admin@timmerry.com . My work is increasingly strategic and focused for impact. I am often involved in the design of long term participatory interventions into organizations and large systems. This has involved ground breaking strategic work with senior leaders and influencers, supporting pivotal events and providing capacity building to amplify significant change. I will be consolidating my own site and brand to be a foundation for the January launch (see above!). Tuesday Ryan Hart and I continue to offer online learning through Work Done Better Together. The fall webinar series is on Applied Learning with stories from the field. It is $25 USD for single webinars or $99 USD for the series of four. Leading Effective Meetings fall course is starting on October 4th. Learn how to get change done through running more engaged and productive meetings. Space is limited to 15 people, so sign up soon to secure your place! A series of workshops around systems change. Malmo & Stockholm, Sweden. Art of Hosting in Austria - location and date TBD. Coming soon! North American Practitioners Gathering in Columbus Ohio. Click on the link for more info and to be kept in the loop. FIND OUT MORE AND REGISTER FOR ONLINE LEARNING! Art of Hosting: A New and Ancient Movement - I got to interview my old friend and mentor, Toke Moeller for webinar! Live Draw Keynote on Shared Work - short keynote video. No slides - live streamed graphic recording on the screen instead! Video blog: Why are effective meetings important? Co-branding with Tuesday Ryan Hart! Tuesday Ryan Hart and I have been thinking and dreaming, planning and scheming, creating and collaborating together for quite a while, and now it’s time: we’re co-branding! After almost 10 years of working together, the scale of work we’re being asked into continues to grow, and we wanted to formalize our collaboration. We’re really excited and wanted to share it with everyone. Hear a bit more about it in our short video below! How can we build the foundation for the future together - rather than just coping with crises and downturns? An inspirational day with SKL and Tim Merry around the modernisation of public sector. Civil servants from municipalities around Sweden are invited to explore this question together with colleagues from Canada, who as well as Tuesday Ryan Heart will join us via Skype. Leading system change. Leading long-term participatory change initiatives to battle societal challenges. A participatory masterclass with Tim Merry (Canada) and team for regional key players sharing the ambition to take the next step in their work on change and sustainability. Tim will share exciting examples from current work and together with Tuesday Ryan Heart (who will join us via Skype from the U.S.). They will share their latest learning on how to work with long term multi-stakeholder processes in a way that makes systemic change possible. The greatest learning comes from real life application. So, during the afternoon we will work on our participants real projects and challenges. This is an open event. Welcome! During the Saturday we are inviting all of you who work as practitioners in the field of co-creation around the question How can we learn and develop together as a community of practitioners? This is a peer-learning event although Tim will start the day with a session on Shared work and how that applies to us as a community of practitioners. The event will be in English and we hope to attract a few international participants also from our neighbouring countries. The event is on a self-cost rate (approx 500 SEK) and will run from 10.00 to 18.00. In the evening those who want to stay will share a meal and enjoy each others company for a bit longer. A few reflections form Tuesday and myself after working together on some systems change initiatives in these last few days ... check out www.workdonebettertogether.com to tune into some of our webinars around this content. What is the Art of Hosting and what difference does it make? What makes it both radical and common-sense at the same time? The Art of Hosting doesn’t have a central office or paid staff, and yet it has quickly spread and become its own movement. What can we learn from this as we try to accelerate change in Nova Scotia? I really enjoyed this and got to tell the story of whenI asked Toke to mentor me as part of it! I hope you enjoy it too. It lasts one hour so you could grab a cup of tea and focus right in, watch it in segments or just put it on while you cook your dinner! The day to day of leading change - meetings!!! 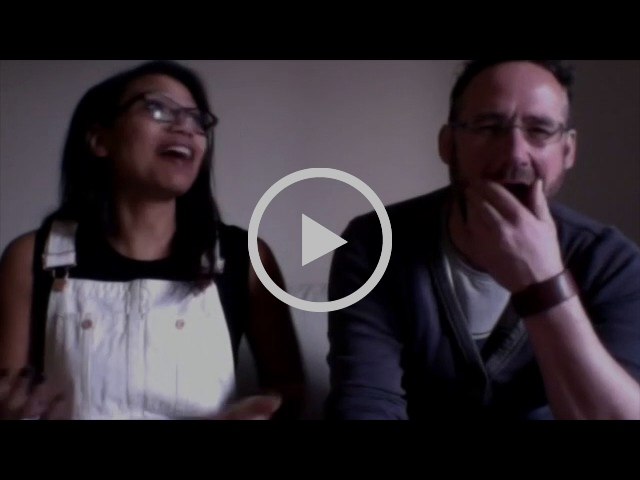 Latest video blog from myself and Tuesday Ryan Hart - Why are meetings important?